Stay in the loop - Sign up to receive messages from kansassheriffs.org. You will be among the first to know about new posts published to our site. If you want to stay current on special events, fundraisers, and other activities taking place across the state, don't miss the opportunity to sign up and receive the KSA Calendar of Events. Are you or someone you know looking for a career in law enforcement? Sign up to receive available job opportunities from across the state. 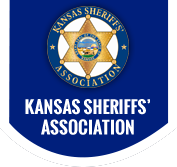 Receive news alerts and messages from the President of the Kansas Sheriffs' Association. Don't wait for the KSA newsletter to find out what's going on. Sign up to receive news alerts and stay current with news, events, and activities in your community. For a brief text message alert, enter your mobile number and confirm below. Standard text messaging rates apply. Text messages will come from 470.219.3777 or short-code 96167 (from KSA).